The largemouth is a bona fide badass. Simms’ new Bass Logo tees pay homage to the fish, with a splash of bass style, and those who pursue it, with the ultimate comfort of 100-percent preshrunk cotton. 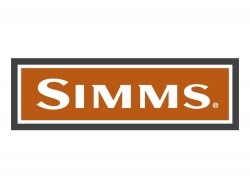 Features include iconic art on the front, a Simms logo hit below the back collar, and an appreciated no-scratch neck label inside.